1. 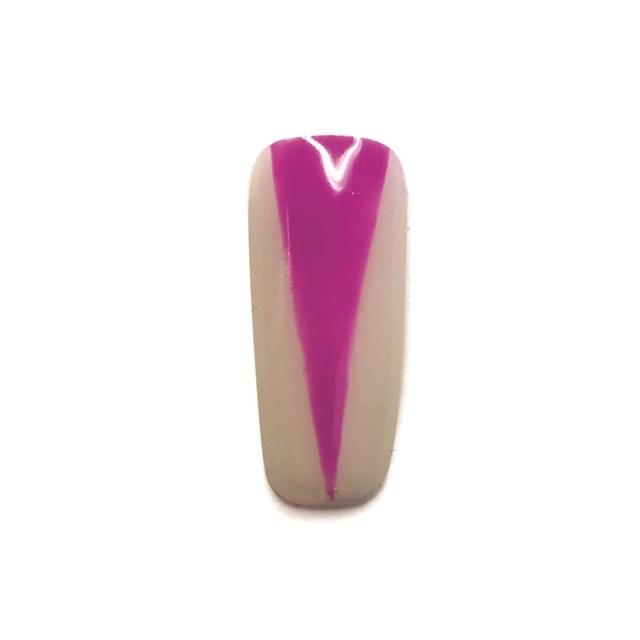 Using MissU gel-polish in Glamsusie#5 purple, create a large vertical triangle. Cure. 2. 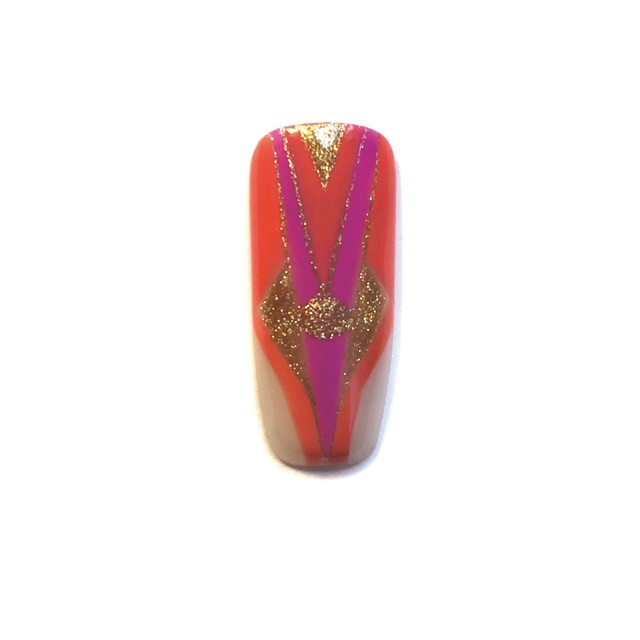 Fill in one half of the triangle with another triangle half its size using MissU gel-polish in Glamsusie #2 orange. Also fill in the sides of triangle as pictured. Cure. 3. 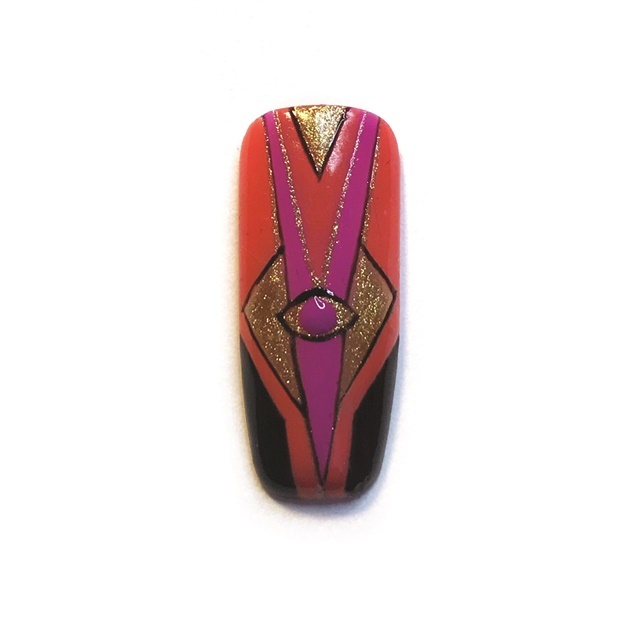 Using Presto gold art gel #154, create details, adding more smaller triangles and outlining the previous ones. 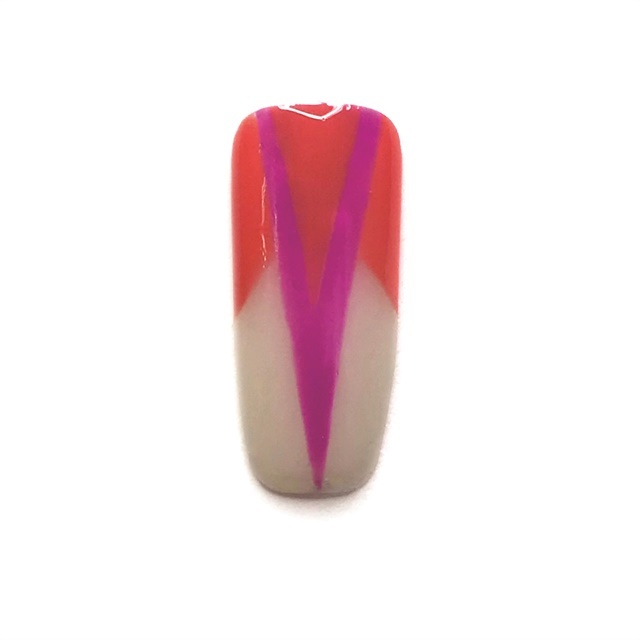 Create a small eye shape in the focal point of the nail. Continue with more orange continuing down the nail as pictured. Cure. 4. 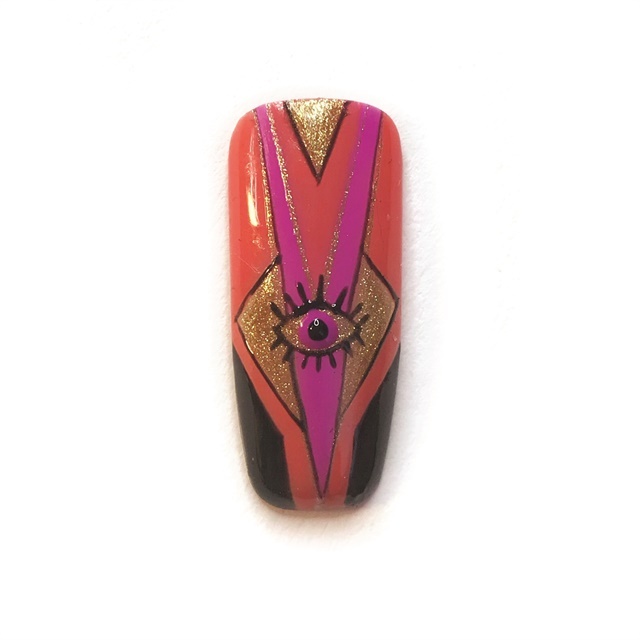 Outline the triangles with MissU Pro Gel in black, and fill in the empty spaces at the bottom of the nail with black as well. 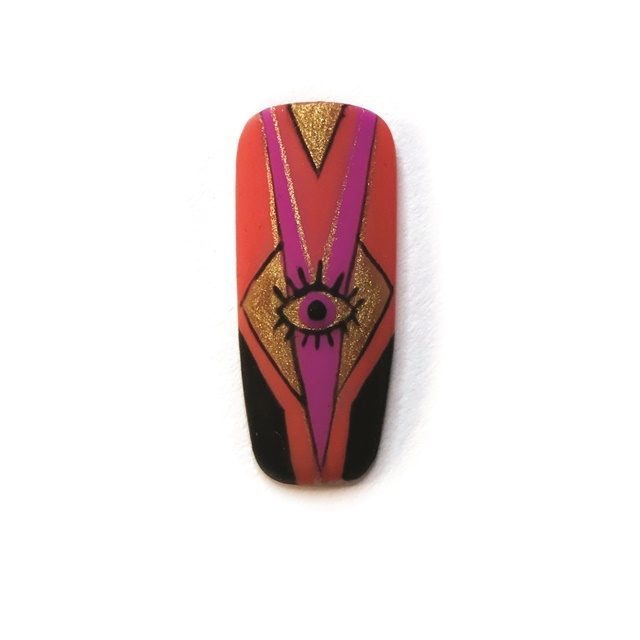 Outline the eye shape in black, and create the eye color with a small circle using purple gel-polish. 5. Using black Pro Gel, create a smaller circle for the pupil. Add eyelashes. Cure. Finish with your favorite matte topcoat, cure, and wipe with alcohol.